In A Banquet of Consequences, Detective Sergeant Barbara Havers, of Scotland Yard, is at somewhat of a loss. Her best friend and his daughter have moved away from London to Pakistan. At work, Superintendent Isabelle Ardery is holding a transfer order over Barbara’s head in order to make her fall in line. Wondering where her life is going, she attends a presentation by feminist author Clare Abbott, where the two have a meaningful exchange, and Abbott gives Barbara her business card. Just as Barbara is leaving, however, Abbott’s assistant, Caroline Goldacre, stops her, and tells her that Abbott didn’t really mean what she said, and demands that Barbara return the card. What Barbara doesn’t know, is that this very meeting will later draw her into a murder investigation, and into Caroline Goldacre’s world. 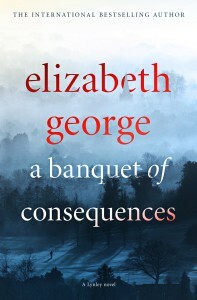 A Banquet of Consequences is Elizabeth George’s 19th Inspector Lynley novel. The last one, Just One Evil Act, was such a departure from her usual top-notch writing, with Barbara behaving completely against her nature, that I feared she was no longer interested in this series. She started writing a young adult series, Whidbey Island Saga, about two years ago, that’s very well-written. I worried that she was shifting her focus away from Scotland Yard. However, A Banquet of Consequences is a return to form. The characters in A Banquet of Consequences are well-drawn and fascinating. Caroline Goldacre, the woman at the center of the mystery, nearly leaps off the page, because she is so colorful and realistic. George is incredibly deft at writing Goldacre as a borderline personality, a narcissist. One gets the sense that George did a good deal of research to be able to accurately represent such a damaged personality. 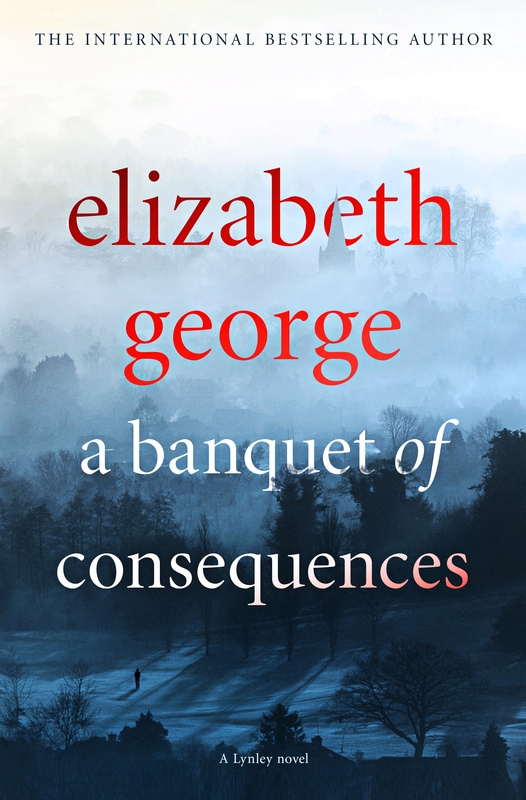 In true Elizabeth George fashion, the secret that’s behind the murder in A Banquet of Consequences is dark and disturbing. Plenty of secrets are revealed throughout the investigation, but the very last secret that’s uncovered is nearly unimaginable. George is masterful at dropping enough clues along the way that the reader doesn’t feel ambushed by the truth, regardless of how awful it is. As mentioned above, Barbara Havers is more like herself in this book than she was in George’s last novel. She’s back to being acerbic and coarse, which is what makes her so endearing, to readers and to the other characters. Thomas Lynley, however, is relegated to a supervisory role in the investigation, which leaves him in London, running down leads. He is not central to the story, which is odd, because it is “A Lynley Novel.” When he’s not interviewing suspects, he’s pining for his new lady love, who may or may not return his affection. Their relationship is interesting, because it is nontraditional, but slightly boring, because it goes almost nowhere. Hopefully, the 20th book will focus more on Lynley and Havers as partners, as well as on Lynley’s burgeoning relationship. 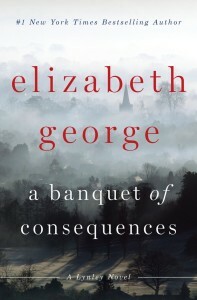 The only flaw in A Banquet of Consequences is the ending, which is fairly important when it comes to murder mysteries. It isn’t that the murderer comes from nowhere, or that the book doesn’t lead us expertly to the conclusion. The problem is that there is no closure or satisfying consequences, like there usually are in George’s books. The ending feels ambiguous, almost lazy. In addition, not nearly enough time is left at the end for readers to absorb what’s happened. 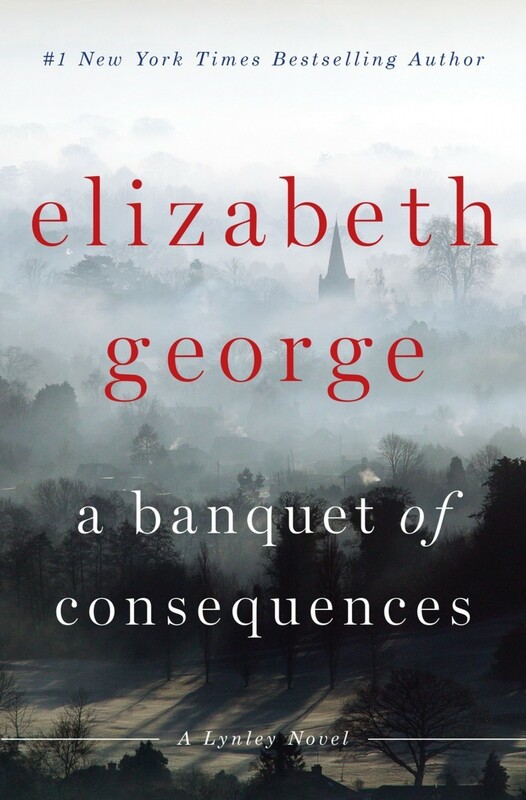 Overall, A Banquet of Consequences is a wonderful British murder mystery, that is engrossing enough to keep the pages turning quickly. Nancy Basile is a freelance writer whose passion for reading began in childhood with the Nancy Drew series. She graduated to Agatha Christie, and seems to be drawn to British murder mysteries almost exclusively. She especially enjoys listening to audiobooks of all kinds. She also writes about movies and TV for her own blog, mediamedusa.com. Elizabeth George’s twentieth Inspector Lynley and Sergeant Havers novel provides a banquet of delights for the reader and proves that she is at the top of her game.